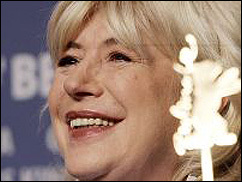 BERLIN (CelebrityAccess MediaWire) — Marianne Faithfull has been nominated for a European Film Award for her role in 'Irina Palm'. The singer is up for the Best Actress Award for her leading role in director Sam Garbarski’s much acclaimed film. ‘Irina Palm’ premiered at the Berlin Film Festival in February this year and was nominated for the Golden Berlin Bear as best film in the festival’s competition. Since then Faithfull has already won the Liv Ullman Prize at the Norwegian International Film Festival. The winners of the 20th European Film Awards – decided by the 1,800 members of the European Film Academy – will be announced on Saturday December 1st in Berlin.